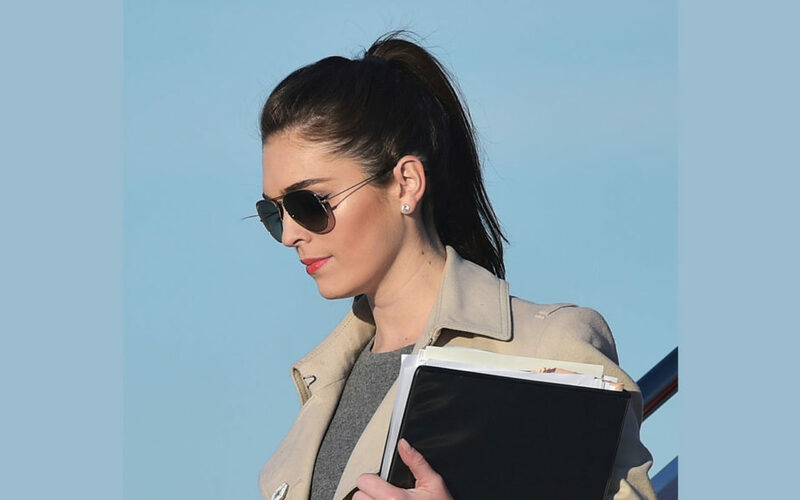 Twenty-eight-year-old Donald Trump aide Hope Hicks has been named White House communication’s director, formally taking on one of the most powerful roles in Washington. Hicks — who had been acting director since the spectacular departure of Anthony Scaramucci — confirmed her appointment via email on Tuesday. The former model and PR operative is known around the West Wing for her close relationship with the Trump family and as a keen defender of Trump’s image. She previously advised Ivanka Trump and was spokesperson for Donald Trump’s presidential campaign, her first job in politics. Since the beginning of the administration she had a floating role, a trusted advisor to the president who was able to channel Trump’s thinking on issues related to the press. Although less visible than press secretary Sarah Huckabee Sanders, the White House communications director is responsible for shaping the administration’s message.